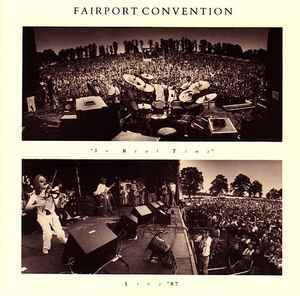 In Real Time: Live '87 is an album by folk/psych/rock band Fairport Convention. Although appearing (especially from the cover) to consist of recordings of concert performances, the album was largely recorded at The Mill studio, Farnham, Buckinghamshire, with audience responses dubbed on later, reputedly taken from a recording of a John Martyn concert. The "Live '87" part of the title was justified by having the songs recorded "as live" in the studio, with all the band members playing at once rather than laying down their parts individually.